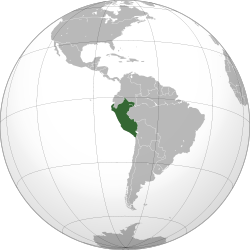 "Peru". International Monetary Fund. Retrieved 2009-10-01. މި ޞަފްހާ އަށް އެންމެ ފަހުން ބަދަލެއް ގެނެވިފައިވަނީ 28 އޮކްޓޫބަރު 2015، 21:48 ގައެވެ.